April is here and so are many fun events. Springtime in the Rockies Quilt Shop Hop is right around the corner. There are 17 quilt shops participating from Colorado and Wyoming and they are all under one roof. There is also a quilt display featuring quilt artist Louisa Smith. Free technique demonstrations by Louisa Smith will be held each day at 10 a.m., 11 a.m. 1 p.m. and 2 p.m. So join us at The Ranch at the Larimer County Fairgrounds in Loveland, Colorado. The Shop Hop will be held in the First National Bank Building April 7-8, 2017 from 9 a.m. – 5 p.m. both days. Our theme for this year is all about tote bags! Big ones, little ones, funny ones, short ones, tall ones. Design your own or use a commercial pattern. To participate, fill out an entry form at the shop by April 2. Totes will hang at the Springtime in the Rockies Shop Hop. Gift Basket Prizes awarded: $75 1st; $50 2nd; $25 3rd. Totes and prizes can be collected from your participating shop after the show. 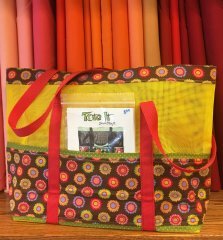 The tote must be made by the entrant and it should have been made in the last 6 months. Saturday Sampler is nearing the end of this year’s meetings. There are only two meetings left. Join us on April 8th at 10:30 a.m. to find out which block has been chosen. The May meeting will be the last meeting.Also, let us know if you need help planning out how to finish your quilt. We have lots of ideas. There are two spots left in the spring retreat May 18-21, 2017. This is the only retreat that we will do away from the shop this year, so don’t miss the chance to sign up. The retreat house provides sewing tables and chairs, your own bed, pillow, bedding and towels. Most beds are large twins. There are two kitchens, four bathrooms, two living rooms, and two TV areas. There are irons and cutting tables available however you may want to bring your own cutting mats. Registration is open now until filled. The registration fee is $275.00. The fee covers lodging and meals. Cancellations after April 3rd are nonrefundable. Contact the shop to register. The Late Night Quilters Club will meet April 26th from 5:00 p.m.-9:00 p.m. This month the shop will provide dinner. Please RSVP to Kara by April 24th at kara@quiltessentials.org. Laramie has an official Quilts of Valor group. Pam Peters is leading us in the important service. The Laramie QOV group will meet every month on the second Saturday at 10:00 a.m. for a short meeting. The next meeting is scheduled for April 8th. Please join this group if you are interested in participating. The group will have an open sew day on April 29th from 8:00 a.m. – 2:00 p.m.
Did you participate in the Tonga Gemstones Block of the Month Club? If so, bring your finished quilt to show and tell on Thursday, May 11th at 5:30 p.m. We want to see how they all turned out and to hear how you are doing. 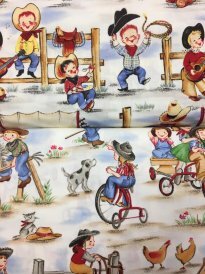 New fabric is rolling in and pictures are being posted to both the website and the Facebook. Make sure to check them out. Watch the website calendar and Facebook for details on classes through June. If there is a class you would like to see please let us know. I do try to add them to the schedule when I can.